Will one unlucky Tinder date fall for this evil scheme? Pat's and Geno's in South Philadelphia. 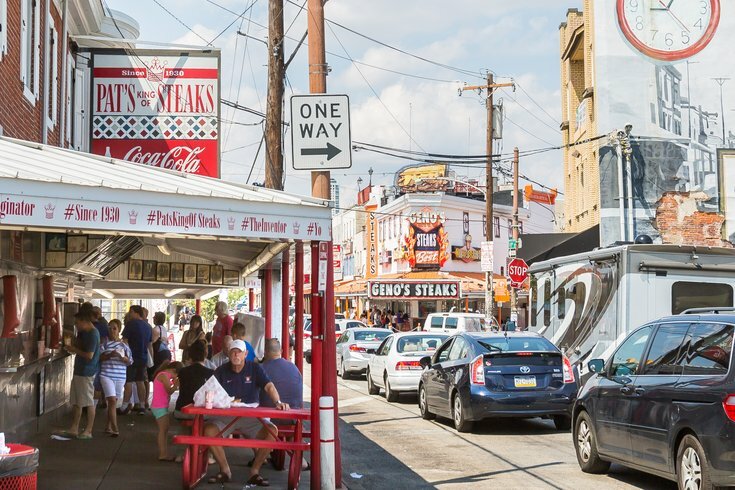 The best cheesesteak in Philly has been debated for some time now. It seems everyone has their own opinion has to who can wear that crown, but the passion for the best also results in a passion for the worst. One Reddit user took to the Philadelphia subreddit Sunday night to hash out the worst cheesesteak in Philly. He wrote, “Hey guys, it’s not my first time in Philly, and I’m looking for the nastiest cheesesteak this city has to offer. Most upvoted place I will take a Tinder date to and tell her it’s my go to spot.” May god have mercy on this poor woman’s soul. “Honestly, I’ll say Wawa is worse. The onions taste like someone dumped straight sugar on them, and the cheese can only be described as a thick film.” …Yum. Mama’s Pizzeria on Belmont Avenue in Bala Cynwyd was mentioned, but met with some harsh backlash, as was Abner’s in University City, Steaks N' Shakes in Kensington, Drexel Pizza, Oscar’s Tavern in Center City, and Campo’s in Old City. What do you think is the worst cheesesteak in Philly?